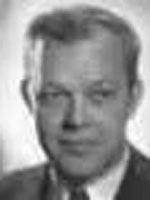 Berry Kroeger was an American TV, Film, and stage actor, he appeared on The Falcon and The Shadow. Berry Kroeger (October 16, 1912 – January 4, 1991) was an American film, television and stage actor. Kroeger got his acting start on radio as an announcer on Suspense and as an actor, playing for a time The Falcon in the radio series. Also on radio, he portrayed Dr. Reed Bannister on Big Sister, narrated Salute to Youth,:293 and was a regular as Sam Williams on Young Doctor Malone. He specialized in playing slimy bad guys in films like Act of Violence (1948) and The Iron Curtain (1948), a crooked lawyer in Cry of the City (1948) and a heavy in Joseph H. Lewis' cult crime classic, Gun Crazy (1949). His flair for decadent leering and evil scowls often led to his being cast in "schlock fare", like 1966's Chamber of Horrors and 1971's The Incredible Two-Headed Transplant. He appeared in a small role as a village elder in Young Frankenstein (1974). He appeared in dozens of television programs. He guest starred on seven episodes of Perry Mason, including murderer Edgar Whitehead in the 1961 episode, "The Case of the Blind Man's Bluff", murder victim Kirk Cameron in the 1964 episode, "The Case of the Illicit Illusion" and Rexford Wyler in the 1964 episode "The Case of the Wooden Nickels." He also appeared in shows such as Hawaiian Eye, Get Smart (as a character spoofing actor Sydney Greenstreet) and The Man from U.N.C.L.E.. His last major film role was in 1977's The Demon Seed. Berry Kroeger was the very first announcer for intros and outtros on Suspense, which I believe began in New York before its long Hollywood run. He’s uncredited but there’s no mistaking his voice!